I am actually innocent and I always have been. This past summer I was notified by Nicole Harvey, an attorney in Reno, NV that the person I was framed for murdering actually died under a second identity two years ago in 2009. Kirstin Blaise Lobato’s saga of twice being convicted of a Las Vegas murder committed in 2001 when the then 18-year-old woman was 170 miles from the crime scene, has been written about in two lengthy articles in Justice Denied, and two books published by Justice Denied/The Justice Institute. On May 5, 2010, Ms. Lobato filed a pro se 770-page state habeas corpus petition in the Clark County District Court. The petition includes 79 grounds for a new trial, including 21 grounds of new evidence, 1 ground each of prosecutor, police and jury misconduct, 2 grounds of Brady violations, 52 grounds of ineffective assistance of counsel, and 1 ground of her actual innocence. Her petitions 101 exhibits include Reports by 10 expert witnesses, and Affidavits by almost a dozen alibi witnesses. Ms. Lobato battled pro se against the State’s opposition to her habeas petition for more than 6 months until November 5, 2010, when Travis Barrick agreed to represent Ms. Lobato pro bono until she is appointed counsel by the court. Mr. Barrick was the losing candidate for Nevada’s Attorney General in the election held on November 2, 2010. Mr. Barrick is one of Nevada’s most well-known lawyers, and his involvement immediately changed the dynamics in Ms. Lobato’s habeas case by giving her claims of innocence a stamp of credibility. Judge Valorie Vega was visibly stunned on November 9, 2010, when she saw Mr. Barrick standing next to Ms. Lobato in the courtroom during a hearing that had been scheduled to hear several motions filed pro se by Ms. Lobato. Judge Vega had not seen Mr. Barrick’s Notice of Appearance, and instead of continuing with the hearing she reset it for December 15, 2010. 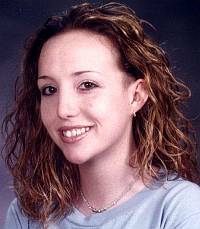 Justice Denied’s Kirstin Blaise Lobato case webpage, that includes order information for the book by Hans Sherrer, “Kirstin Blaise Lobato’s Unreasonable Conviction.” Also included are links to Justice Denied’s articles about Ms. Lobato’s case. Information about Ms. Lobato’s habeas corpus petition. Also included is order information for Ms. Lobato’s 770-page habeas corpus petition. Read Ms. Lobato’s habeas petition online. 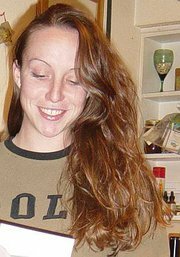 Kirstin Blaise Lobato in December 2005 after her release on bail while awaiting her retrial in September 2006. 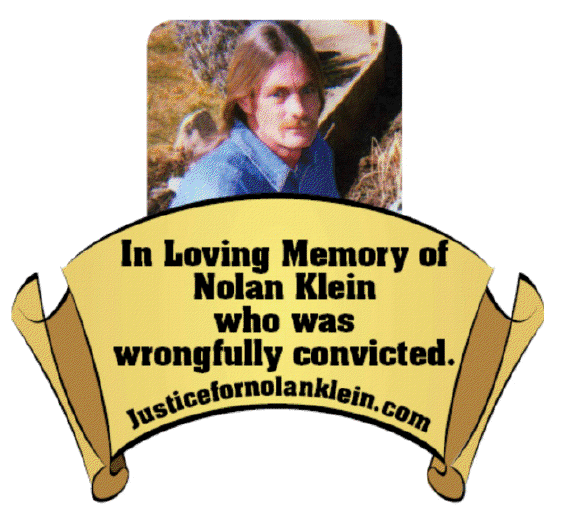 Nolan Klein passed on September 20, 2009, in prison before his compassionate release was implemented. Tonja Brown, Nolan´s sister, is asking for a Grand Jury investigation, for Nolan’s conviction to be overturned, and for them to be prosecuted and disbarred for conspiring to conceal a crime. Oral arguments for Tonja’s Writ of Mandamus are set for September 30, 2010 at 9:00 a.m. in Washoe County District Court, Judge Flanagan. Please visit the website Justicefornolanklein.com to read about this case of innocence and the blunders and purposeful misconduct leading to a man innocently convicted. NOLAN’S LAW: Once a defendant is arrested and charged with a crime, the law enforcement agency MUST provide the Accused/Defense Counsel with a copy of all Materiality/Exculpatory evidence at the same time the prosecution receives it. Then it will be left up to the Court to decide what is or is not admissible for trial. Any additional Materiality/Exculpatory evidence that is provided to the prosecution MUST be simultaneously provided to the Accused/Defense Counsel.